Sweet and salty flavor make up one deliciously nutritious, chewy granola bar. 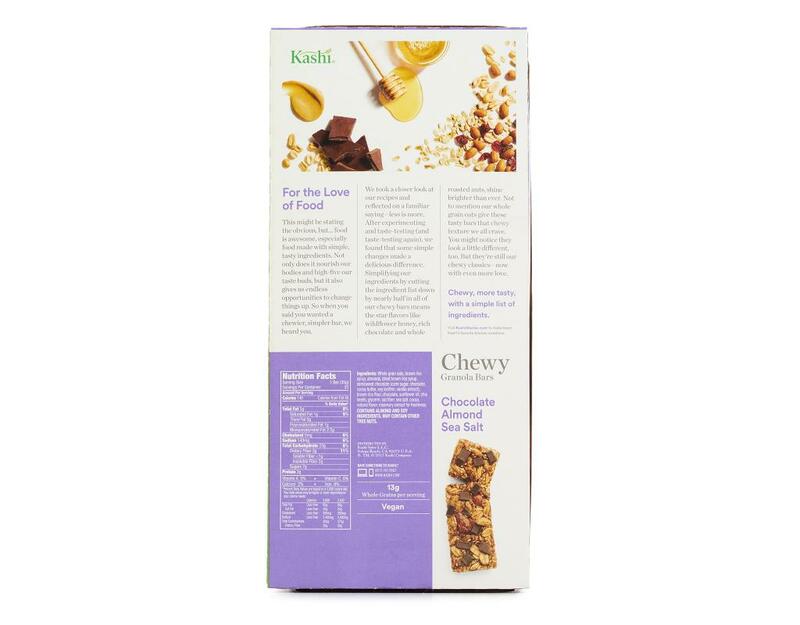 A unique blend of Seven Whole Grains and Sesame comes together with whole, roasted nuts, succulent, sun-dried fruit, and a touch of wildflower honey. 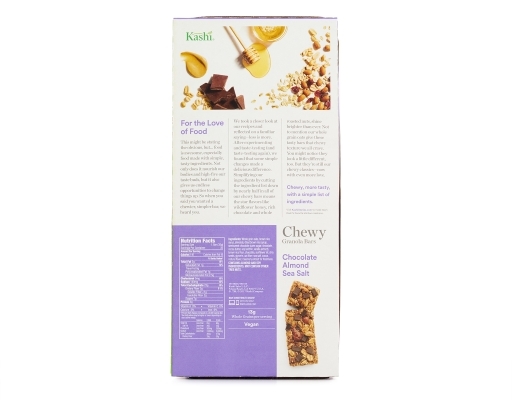 And with 4g of Fiber and 5-7g of Protein, they are as nourishing as they are tasty. 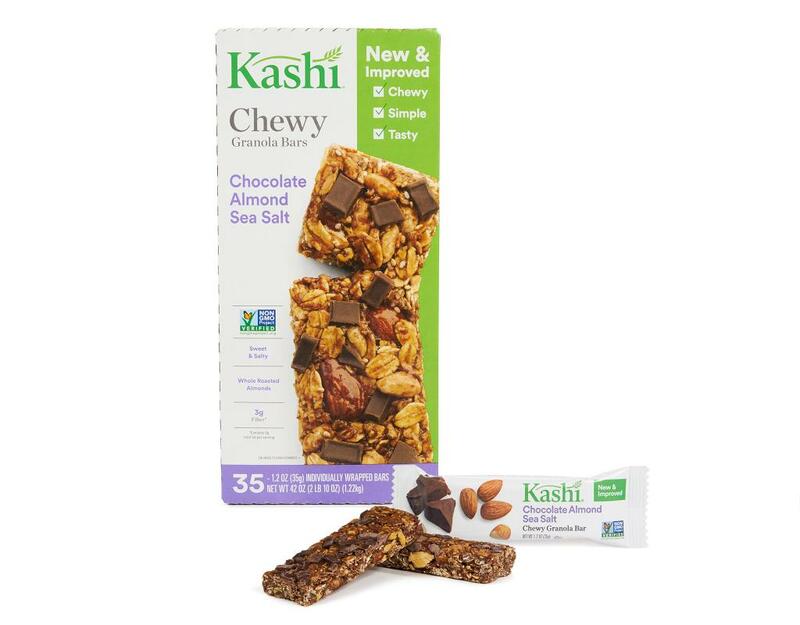 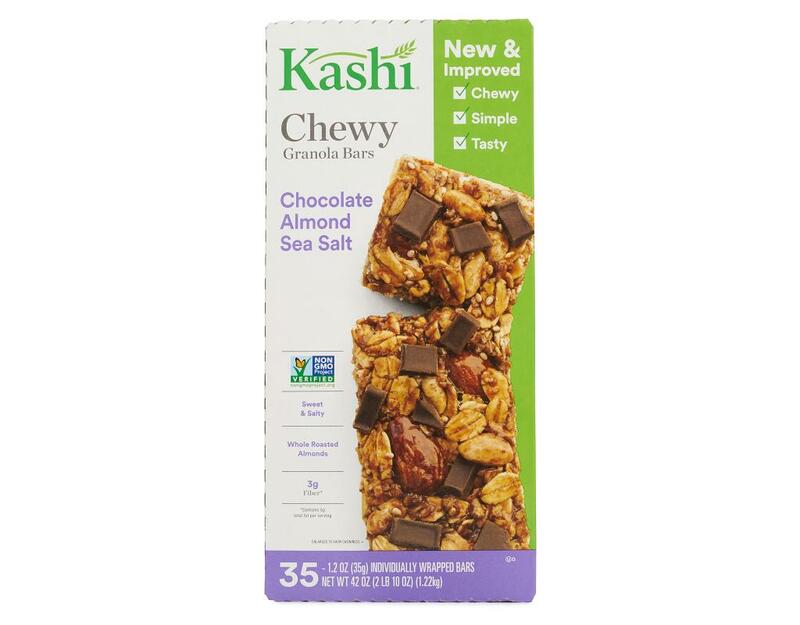 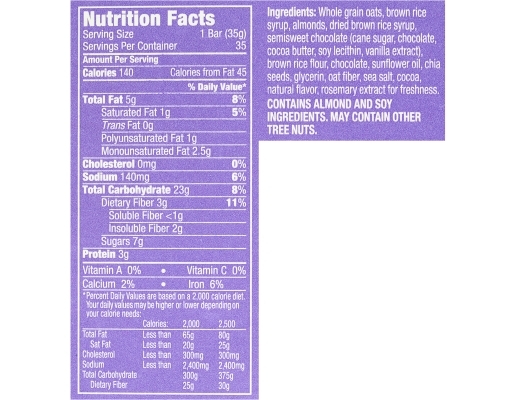 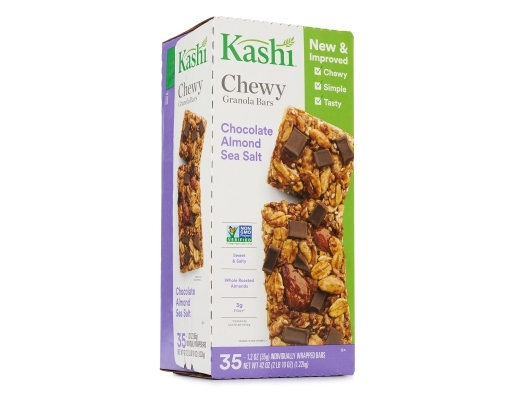 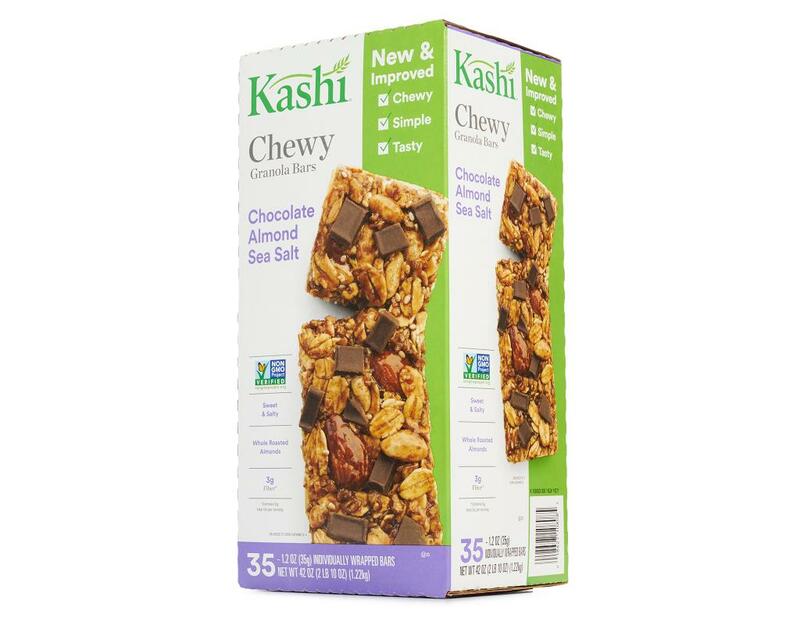 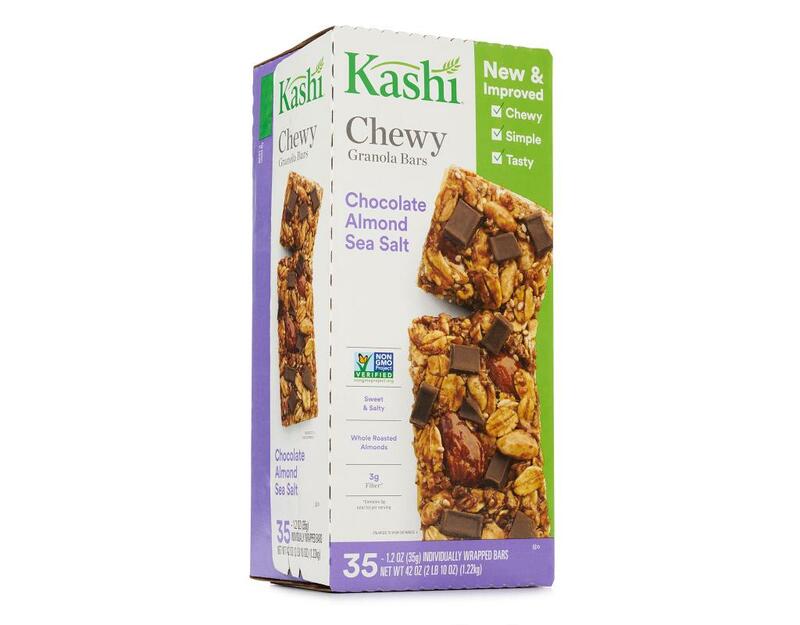 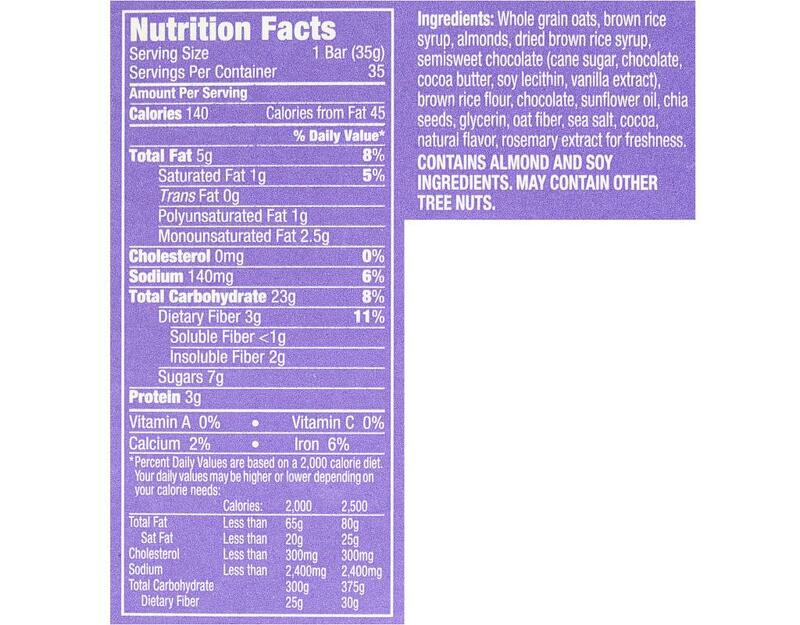 Naturally, you won't find any partially hydrogenated oils, high fructose corn syrup, or artificial anything but what you will find in Kashi's chewy granola bars is just what you'd expect from Kashi—minimally processed, pure ingredients, and natural goodness you can see as well as taste. 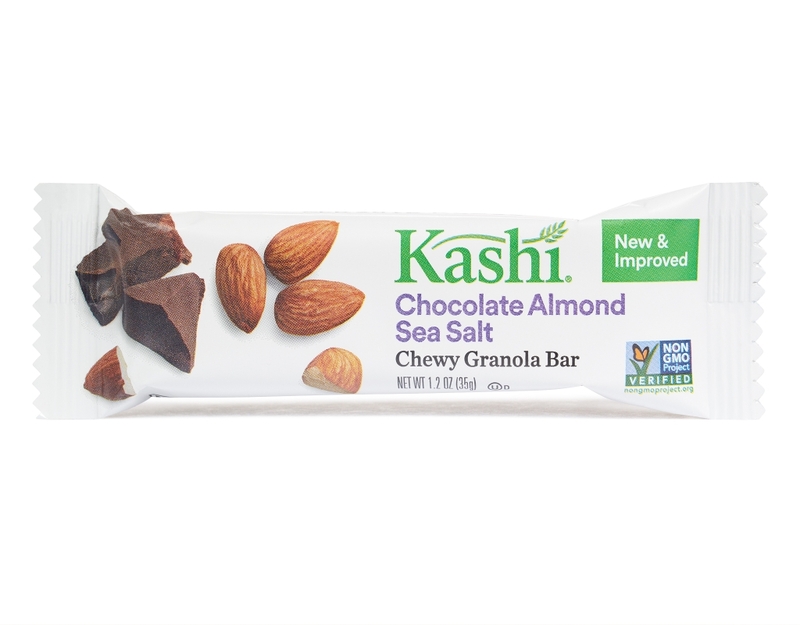 Combining dark chocolate, roasted almonds and a touch of sea salt with chia means you can enjoy sweet and salty flavor with 160mg ALA omega-3 in one satisfyingly chewy granola bar.